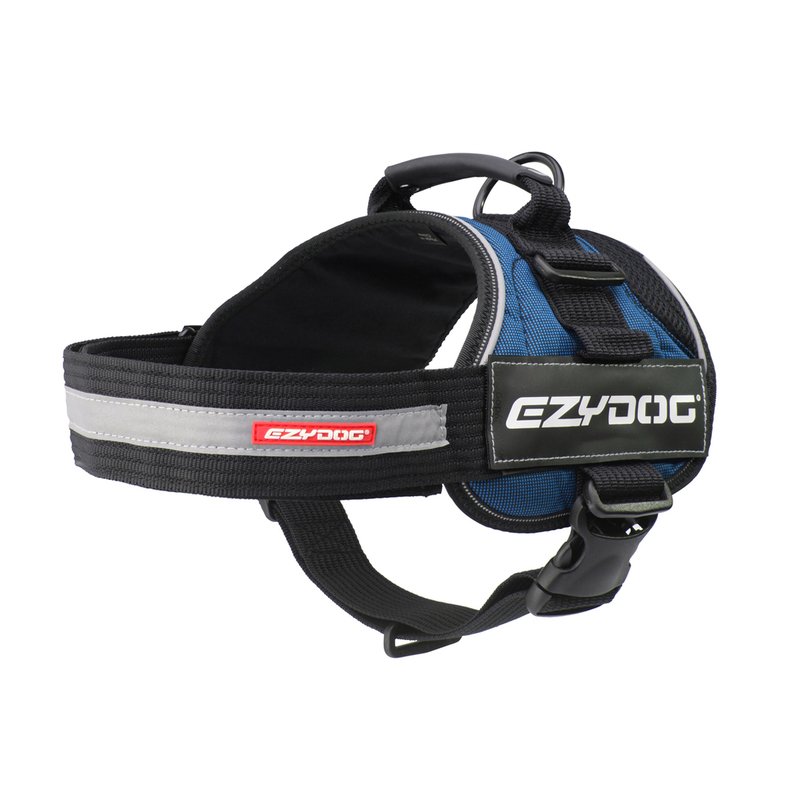 The Convert™ Harness Dog Harness in Blue has been designed to meet the needs of the most active pet owners. The sturdy design and utilitarian functions are complemented by the Convert’s sharp appearance. Built with a Soft Cotton Lining on the contact surfaces and a Durable Polyester Outer Shell with a vented rear to ensure maximum comfort. Side Mount touch fastener for attaching custom patches (sold separately). Reflective Piping for night time safety. A utility harness for the street and trail! This durable and versatile harness is designed to take you and your dog where you want to go! Durable materials and custom sizing and a pinch-free design make this a great choice for most breeds. Fitting the Convert is a simple two-step process. Slip the Fully Adjustable Contoured Chest Strap over the dog’s head, and then connect the Breathable Webbing Strap using the Security Buckle. A Stainless Steel welded D-ring is available to attach a leash or the Soft Touch Traffic Handle can be accessed for control. The traffic handle is Magnetic to stow flat for a low-profile position when it is not in use. The Convert harness is aptly named as it can be converted to perform several functions thanks to the various accessories that can be purchased separately. The Convert Saddle Bags transform the harness into a dog backpack. Custom side patches (also sold separately) can help your dog be easily identified as a Service Dog, Therapy Dog, In Training, and more! Posted On 03/02/15 by Amanda from Omaha, NE Yes, Amanda recommends this product! I had been eyeing this harness for a long time now for our black lab Moose. 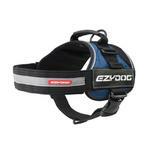 We have bought other EzyDog products for him and they work really well. He's 90 pounds and he is really bulky in his chest so this harness offers a lot of control with the top handle when he needs to be close to me. We also purchased the "Do Not Pet" side patches and they fit perfectly and have served their purpose.